Committed to serving the best interests of Washington, D.C. homeowners, All Pro Chimney Service performs thorough chimney sweeps. All chimney cleanings are completed by certified professionals, who also conduct inspections. 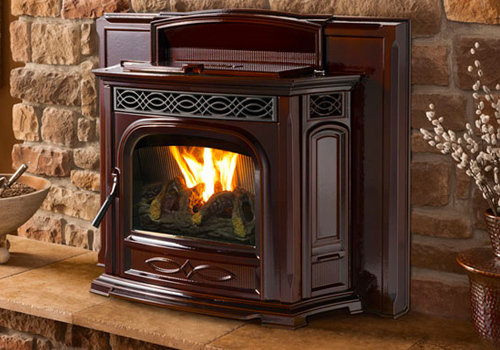 All Pro Chimney Service is the right choice for chimney sweep services in Washington DC. Why Are Annual Chimney Sweeps So Important? Over time, soot and creosote build up in your chimney. Creosote is highly flammable; even a seemingly small accumulation can dramatically increase the risk of a chimney fire. While proper burning practices can somewhat reduce the rate at which buildup occurs, a thorough chimney sweep is the best way to minimize risk. Regular sweeps and inspections will make your fireplace cleaner, safer, and more efficient. What Happens During Standard Chimney Sweeps? Our technicians arrive on time and ready to provide the quality service you demand. We set a drop cloth around the work area to ensure that your home remains clean during and after our cleaning and inspection. We begin with a Level I inspection to determine whether a full chimney sweep is needed or whether hidden hazards exist. During the initial inspection, our chimney and fireplace experts take pictures and write detailed notes. If following the initial check, we determine that you do not require a full chimney sweep, we’ll clean up and only charge for the Level I inspection. If cleaning is needed, we will perform a full cleaning. Additionally, our experts will determine whether defects exist. We’ll share our observations and provide estimates for any repairs we believe necessary. You’ll end the process feeling fully informed regarding the status of your chimney. As noted above, we offer multiple levels of chimney inspection. By maintaining different levels, we’re better able to provide quality inspections without forcing you to pay for services you don’t need. We always begin with Level I, in which we determine that the chimney structure is sound. We’ll also check for creosote and other problematic deposits or obstructions. Level II inspections are required whenever you add a new heating appliance to your home or change the type of fuel burned there. Additionally, you’ll need a Level II inspection if you intend to sell your home following an external event that may have caused chimney damage. During your Level II inspection, we’ll complete all aspects of Level I. We’ll also inspect accessible areas of your attic, basement, or any crawl spaces. A video scan involving flue systems may also prove necessary. If a Level I or Level II inspection indicates hidden hazards, you’ll probably need a Level III inspection. These inspections are particularly vital for investigating incidents that may have caused chimney damage. Sometimes, Level III means opening an interior wall or otherwise accessing difficult areas. The National Fire Protection Association (NFPA) Standard 211 recommends annual chimney inspections. During these inspections, technicians determine that all chimneys, fireplaces, and vents are safe and free from deposits. Clean, regularly inspected chimneys are safer and more efficient. If you’re overdue for a chimney sweep and inspection in Washington, D.C., do not hesitate to contact us at (301) 750-3149 to learn more about our services.